How extensively has Le Guin’s ‘Earthsea’ series influenced Rowling’s ‘Harry Potter’ books? In fact, many argue that Rowling would not have written her series without Le Guin’s influence. There are a lot of similarities, for sure. Both fantasy works are set in a wizardry school, where the “special” kid and would-be hero (Ged in Earthsea, Harry in HP) meets other student wizards, hones his skills, and goes on to become a master wizard. Both characters start conflicted and picked upon. In “Earthsea,” the bully wizard is Jasper; in HP, it’s Draco Malfoy. “Earthsea” has an archmage in Roke (the school) named Nemmerle, whose counterpart is Hogwart’s Dumbledore in HP. Ged’s mother died before he reached one-year old; Harry’s parents died when he was a baby. Both Ged and Harry would rise above the teasing and bullying to become the best wizard in their school. But the similarities in the tropes end there. Plot-wise, “Earthsea” is more segmented; all of the first three books (‘A Wizard of Earthsea,’ ‘Tombs of Atuan,’ ‘The Farthest Shore’) are close-ended, with Ged moving on to an entirely different adventure in the next. Also, the tone is more somber, more of heroic high fantasy, especially as readers explore the second book onward and Ged encounters dragons and battles with his own shadow. Even though they likewise get dark toward the end, the “Harry Potter” books are more detailed, consistently young-adult fantasy in treatment. 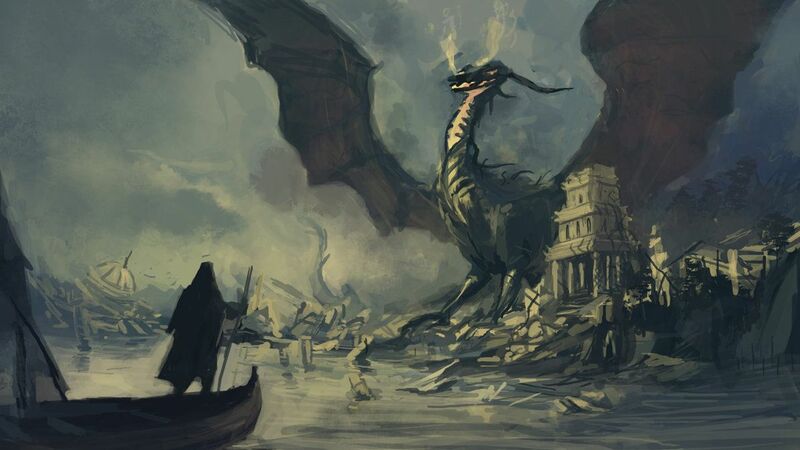 The series breaks away more from the Tolkien tradition than “Earthsea” does, favoring intensive character development (and there are many characters in HP) and allowing the fantastic world to interact more with the real. Steve Silvers leads Paint Squad, a Los Angeles, CA-based company that aims to bring the highest standard to the residential and commercial painting industry. He enjoys listening to classic rock, tasting wines, and reading books, with the ‘Harry Potter’ series one of his favorites. For more on his work and hobbies, visit this blog. Steve Silvers enjoys basketball and football, watches The Walking Dead, listens to The Radiators, reads Dan Brown, and leads his own company called Paint Squad. He is a member of the Painting Decorating Contractor of America (PDCA) and an alumnus of the University of Colorado Boulder.